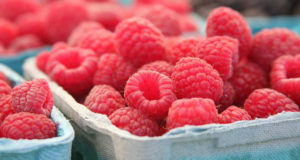 Raspberry season. Among these beautiful reddish color and sweet flavor. They are ideal for people who want to lose weight.